Wow! I'll just say it, this week is packed with annual events that are musts. I had a hard time selecting only a few of them to feature in this week’s blog. 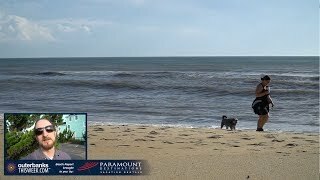 The weather is cooling down, most visitors have left, and you’ll find Outer Banks events created by locals just for locals (though if any visitors are around, I definitely encourage you to attend). These events focus on the Outer Banks’ culture and area, appealing to music lovers, sportsmen, artists and more. The Outer Banks’ locale is a prime spot for various types of sports, which make up the majority of this week’s events. So if you’re looking to show off your abilities, appreciate our culture or learn new skills, read on to see what the Outer Banks has in store for you this week. When Hurricane Isabel struck North Carolina’s coast in 2003, it was thanks to the commercial and charter fishermen that Hatteras Island recovered. These fishermen helped build and maintain a tightly knit community that embraces its fishing village heritage and the traditions that come with it. Day at the Docks is a celebration of this strong spirit and the fishermen responsible for it. This Friday and Saturday you can join Hatteras Village’s annual jamboree that brings you out to the docks where you meet the fishermen and learn about what they do. There is a panel discussion of local chefs who want to change the way we cook and think about seafood. You can enjoy the temperate weather with a Fishy 5K Fun Run. 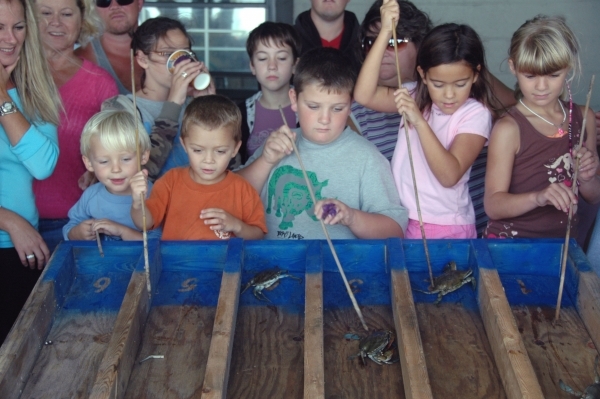 Put your fishing skills to the test with competitions like “hooking” and “gaffing” a concrete marlin or the Kids Fishing Contest, and garner new skills with the help of demos that range from fish cleaning to net fishing. Think you make the best chowder on the Outer Banks? Fight for the title at the Chowder Cook Off. Festivities begin at 4 p.m. on Friday and continue through Saturday at the Hatteras Civics Center. If you’d like to learn more about the schedule of events, check out the Day at the Docks website. So come on out - learn, celebrate and hug a fisherman. You’ve been training all year for this. You’ve sweat, you’ve bled, you’ve spent sleepless nights in bed just thinking about it...rhyming aside, maybe this is an exaggeration for some and maybe it’s dead-on for others. For months people have trained and prepped for the annual Outer Banks Triathlon. This event is happening this Saturday and Sunday at the Dare County Regional Airport. 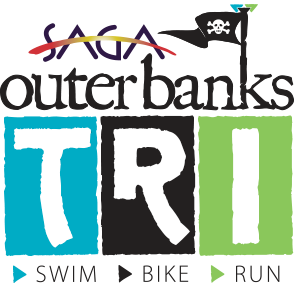 The Outer Banks Triathlon actually consists of three different triathlons: a sprint, an Olympic and a half-marathon length. The Olympic and half triathlons are held on Saturday, and sprinters show up Sunday for the shorter and faster course. The swimming portion is held at the Old Swimming Hole near the airport then participants move to the cycling leg – a scenic out and back race along Route 64 over Manns Harbour Bridge and through the village of Mashoes – before continuing to the run, which (depending on the race) consists of courses through the airport, the Mother Vineyard neighborhood and the Heritage Point subdivision. No matter which race you choose, the courses give you a great way to sightsee Roanoke Island’s beautiful locale. The event starts on Saturday at 7 a.m. and you can preregister online. It doesn’t matter if you want to race to win, race to achieve a personal goal or just race because you love swimming, biking and running. Every motive is welcomed, so come out and have fun. 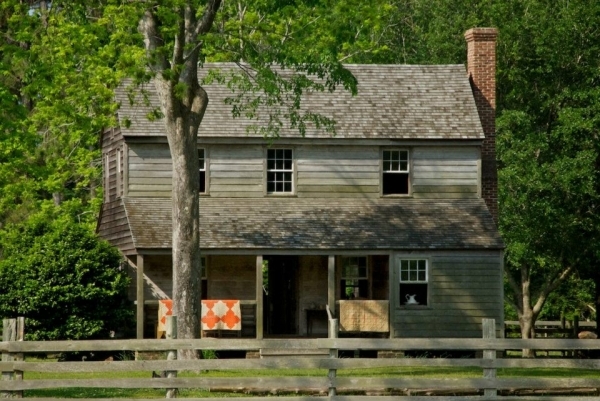 After a Day at the Docks, head to the other side of the Outer Banks to explore Currituck’s distinctive culture at the Currituck Heritage Festival this Saturday. This event has fun for all ages – parents can check out local vendors selling crafts or enjoy the live music while the kids jump in the bounce house and play games. And get ready for some good smells because this event is also a State BBQ Championship for North Carolina, sanctioned by the Kansas City Barbeque Society. 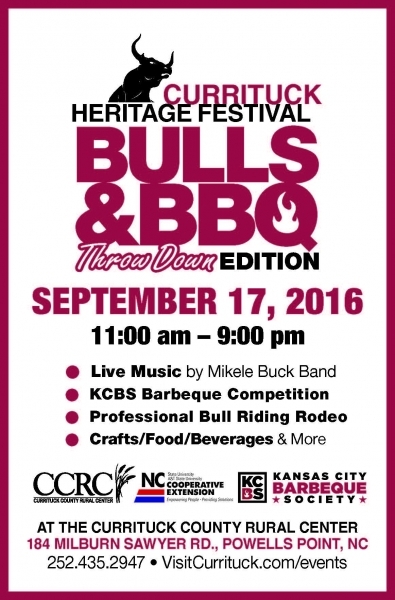 The scents of pulled pork and sweet sauce fill the air, and you can satiate any expected tummy rumbles at the event’s many food vendors. Come during the day and stay for the rodeo that night, which starts at 7:30 p.m.
With its wide beaches, blue waters and rolling waves, it’s easy to see why the Outer Banks hosts the Eastern Surfing Association’s annual championship. Throughout the year surfers from the Southeast, Mid-Atlantic and Northeast proved their abilities at regional competitions, and the top finishers from each region are coming to battle it out in Nags Head. The event starts on Sunday and continues through the week. Men and women of all ages put their skills to the test with their preferred style of board, each hoping to emerge a champion. The Eastern Surfing Championships aren’t just fun for the participants, they’re also fun for onlookers who want to watch the action and cheer on their friends. Head down to Jennette’s Pier any day next week to watch the surfers in their element. Ok, so fall hasn’t completely set in yet, but there are signs of it everywhere – the dogwood trees’ leaves are turning rusty hues, reds and yellows and browns seem brighter, chrysanthemums are starting to bloom and so much more. Capture this short period of beauty with the help of one of the Outer Banks’ most picturesque areas: Elizabethan Gardens. For the remainder of September, you have the chance to try the Gardens' Fall Botanical Watercolor Classes. You’ll learn basic drawing, observation and watercolor techniques that allow you to recreate the flora you find in the gardens and in the greenhouses. Choose either three-day workshop classes or two-day ones, depending on how much time you have and how eager you are to learn about botanical watercolors. The three-day workshops are $150 for members and $180 for non-members, and the two-day classes are $100 for members and $120 for non-members. Each class runs from 9:30 a.m. until 3:30 p.m. If you’d like to learn more about when the new workshops start, check out Elizabethan Gardens’ website. The weather’s getting a little cooler, and in the South that means it’s time for bluegrass! Island Farm kicks off the 2016 Outer Banks Bluegrass Festival this Tuesday evening with performances from Sideline and Nu-Blu. Don your flannel and get ready for some fiddle pickin’, steel guitars, harmonicas and twangy harmonies. Bring a lawn chair or blanket to sit on as you chat with friends and listen to the music. When you get hungry, let your nose lead you to the smoky aroma of fresh barbeque wafting through the air, provided by Darrell’s 2 BBQ and Seafood. Tickets for this event cost $25, and all of the proceeds benefit Island Farm. If you’re interested in purchasing tickets, it can be done on the website. Like I said earlier, I couldn’t list every festival and annual event happening this week, but you can discover more by checking out the Daytime Events listing. Whether you want to compete in a kayak fishing tournament or explore the culture at a Latin Festival, there’s an event out there for you. For nighttime excitement be sure to look at our Nightlife listing. There you’ll find live music happening every night along with games and events held at different eateries.